Brushed and engraved stainless steel instrument cluster surround for MK2 MX5/Miata. It will match the stainless steel design of our engraved and labeled HVAC panels. 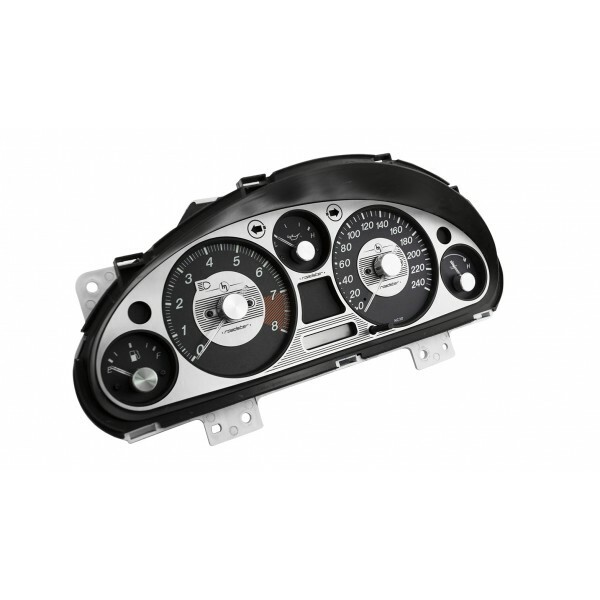 Comes with engraved stainless plates for the REV and SPEED dials, to bring the most out of the stock classic gauge faces scheme. Please note, the Engraved Cluster Bezel is featured on some of the product pictures with the Jass Performance Stainless Gauge faces. 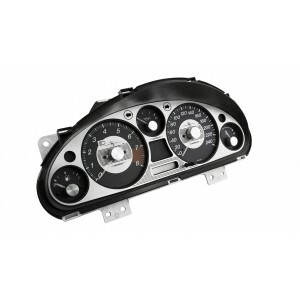 The Engraved Cluster Bezel is sold separately from them, but delivered with own decorative metal center plates.